Here's a beginner's guide for the dungeon crawling action RPG mobile game Dungeon Chronicle. Available to download from the App Store and Google Play. 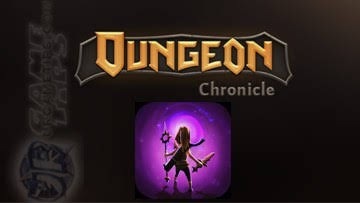 Dungeon Chronicle is a Diablo like hack and slash game but this time, you'll travel through a unlimited floors with increasing difficulty of bosses and monsters, while collecting vast amounts of rare and legendary loots! - Defeat to complete the floor. - To force him to appear, you need to defeat a number of monsters, so keep killing enemy mobs till the Keeper detects your presence. - He will spawn from the Guardian Statue's location. - Customize your character to defeat higher floor keepers. - Collect Gold and Gems, use them for upgrading or for purchasing items from the Shop. - Grab loots like Gears, Scrolls, Relics, and more. - For Weapons: Focus on DPS, refine stats that you want at later levels. 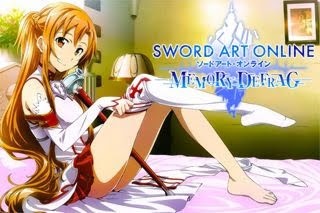 - For Armors: Focus first on Total Defense regardless of their Level or Rarity, even if it has lower Attack Power. 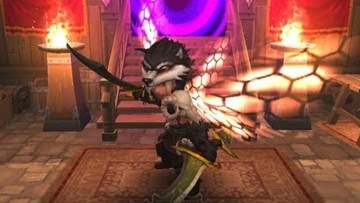 - For Rings, Amulets, and Wings: Focus on items with better stats. - Rarity: Higher Rarity has more bonus stats. - You are free to use all types of weapons during battle, but for early game use the best weapon that you have for now until you can get the ideal weapon/s for your preferred skills. - Melee Weapons: Good for HP regeneration and faster HP per Hit. - Magic Type Weapons: Good for MP Regeneration and faster MP per Hit. - Collect a number of set items to activate the bonuses you like to use depending on your play style. - TIP: Keep all Set items per character type that you can (at least 1 copy per item). - Upgrade these Set Gears as you go by using Scrolls. Note that all gears including all set items that you have will automatically be upgraded by +1. This is the reason why you should keep your preferred set items. - Scrolls can be obtained by opening chests, breaking objects, or from monster drops. - Sell gears that you don't need, use the "Batch Sell" option to easily discard them. - Example: If all items inside the box have "red arrows", sell them all, but if you see some "green arrows (preferably Def for Armors and Atk for Weapons)", check it out and equip if you want. - For the "Batch Sell" option, do not include Set Items. Sell them manually if you have dupes, or need to sell some to increase inventory space. - Note: Use your Porter's Bag for reserved set items that you might need later on. quick re-runs, just focus on clearing the floor. Gold and Gems will drop from the Keeper, and more once you enter the portal. - TIP: Higher floor levels will drop more Gold and Gems. - Pick up all Rare to Legendary gears including Set items, then sell all that you don't need. - White gears are too common and will fill your inventory fast, returns aren't great too so better ignore them. 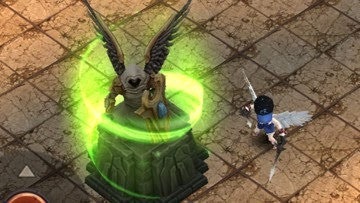 - Your main focus is to upgrade your Set items using Scrolls at the Guardian Statue. - You'll need 3 Weapons Scrolls, or 6 Armor Scrolls. - Just keep on going and defeat monsters from higher floor levels. Drop rates increases as the difficulty increases. - Buy Mercenaries, and revive them with Gold if you want. - TIP: If you are just clearing easy floors, buy some of them to help you, but if you prefer clearing higher floors with higher difficulty, I would recommend ranged units because tankers can't tank, or just go solo without them since they are so easy to get killed anyway. - Level up to unlock more Mercenary slots. - Equip them via Mercenary tab: Combat = Equip Merc; Cancel Combat = Unequip Merc; Break Up =Discard Mercenary. - All Wings increases Movement Speed by 20%. - Would recommend getting the Angel Wings because of the damage reduction stat, aim for at least 10%. - Go for Decreased Cooldown and Energy first for your preferred skills. - TIP: Test them all out then select the ones that suits your playing style. Upgrading skills are easy anyway. - Once maxed, Go and max out next your Enhanced Defense stats, then the Enhanced Attack stats. - Get this first to increase or get extra stats, especially Maximum Mana, Mana Recovery and more. - This would allow you to spam more skills. - Buy wings with Defense to get the damage reduction stat. - Next, either go for HP Recovery on hit for more survivability, and/or Critical Ratio for increased crit rates best with Attack Speed/Critical Damage (best) if available. - Only if you already have the above items. - TIP: Try their Gold versions first to find which ones are the best for your playing style. - These porters can also retrieve Gold and Gems for you. - Ruby Box: View ads to earn free Rubies (highly recommended). - Equipment Box: View ads to earn some free Epic and Legendary gears, nice for early game until you get better ones. Also best after reaching the highest floor that you can using the Challenge Mode. - Random Free Boost: View ads before entering the next floor to get some boost (optional). - Note: Rewards can only be obtained by watching video ads. - TIP: If you can only view a limited number of ads per day, better use them all for getting Rubies. - Note: This tip only applies when you are challenging higher floor levels with higher difficulty. - Dodge nasty traps and skills that can really give huge damages to your character and mercenaries! - Keep moving and use your escape skills to avoid them. - Using skills that will make your character immovable are not recommended against these attacks. 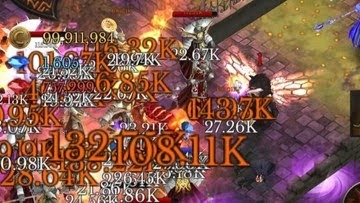 - To get the most out of your AoE skills, lure them first then unleash massive combos! - Enemies that are stunned will get 20% more damage. - Note that Dungeon Keepers are immune to stun. - If Boss monsters are immune to damages (orange barriers), don't spam your skills (except buffs, sentries and hydras), wait for it to disappear first. - Settings: Set Show Drop Items (Recommend turning off Normal). - Settings: Save your progress to the Game Cloud to avoid losing your character and items. - Note: If you delete the game without saving to the cloud, all data will be deleted! - Tap on the dual sword icon near your mini-map to enter Challenge Mode. and easy to sustain with regeneration. are confident that you can do it. - Note: If your character dies, you will lose some Gold and Gems. - First, make sure you have decent gears, farm them from your current floor to get the best gears that you can. Also consider upgrading all other options you have like Skills. - Note: If you want to use your Set Items instead, upgrade them first using Scrolls before attempting higher Challenge Modes. - Once you enter the higher floors, do hit and run tactics, avoid getting mobbed (use dash to escape), dodge all nasty traps and skills, and buy some potions just in case. - TIP: If you are about to get killed, quickly tap on the Mini-Map to flee from that floor and go back to your original floor. - Just focus on killing enemies from higher floors to get higher Exp. - Defeating the Dungeon Keeper is optional, if it's still too strong, just continue and focus on leveling up by doing re-runs. - If this is too hard for you to do, farming Exp from your current floor will do just fine. - The more floors you challenge, the more Relics will drop from boss monsters (random). - TIP: Do not kill the Dungeon Keeper if you want to farm fast Relics, just defeat bosses that drops them then tap on the mini-map to exit the floor. - Note: Gears and Items will not drop from Challenge Mode. You need to defeat the Dungeon Keeper first before you can do floor re-runs and farm new gears at higher floors. - Once defeated, start by farming some Rare items at least (usually higher level gears are better). Equip them to boost your attack and defense. - Do re-runs using the Mini Map floor select to farm more (killing the floor Keeper is optional). If you are having trouble, try the lower floors for now. - TIP: If you are about to get killed, quickly tap on the Mini-Map to flee from that floor and try again.